Trainload after trainload of black diamonds flowed east and west from the coal fields of western Pennsylvania, fueling industry and the profits of the Pennsylvania Railroad. Forever in search of a more efficient way of moving the never-ending loads, the Pennsy invested heavily in the engineering of its locomotives and hoppers. This set is pure Pennsy from pilot to cabin car. 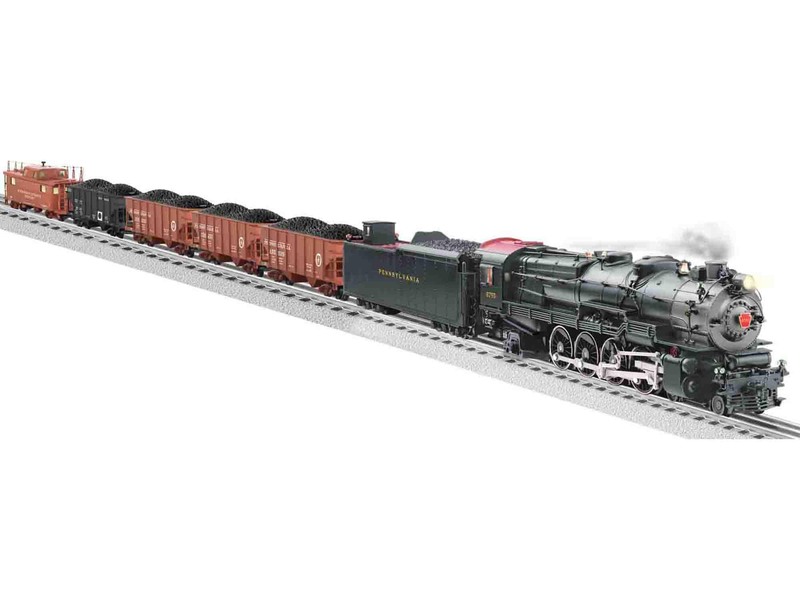 Led by an M1A mountain, this typical coal train of the Pennsylvania's standard GLA hoppers include three cars of the railroad and one from the Berwind White Coal Company. Headquartered in Windber, PA, the Berwind White hoppers were copies of the Pennsylvaina design and a fixture on their trains into the 1960s. 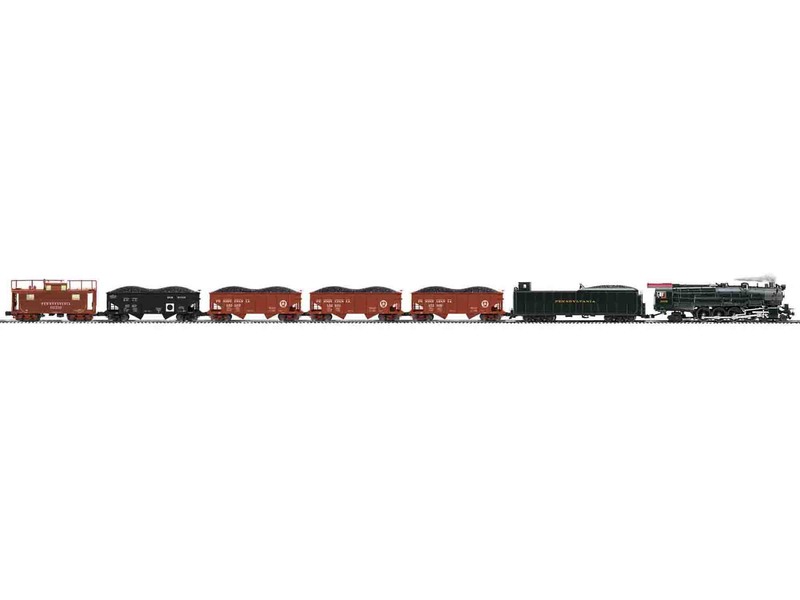 Bringing up the markers is another Pennsylvaina standard, the N5B caboose. As shown in "Pennsylvania Railroad restoration update"